A game that I paid little to no attention to until it was mailed to me after the tornado is Code 777 . In Code 777, each player has 3 tiles that are placed on a board in front of them. All of the other players can see what that player has, but they cannot - the goal of the game is to figure out which numbers you have. 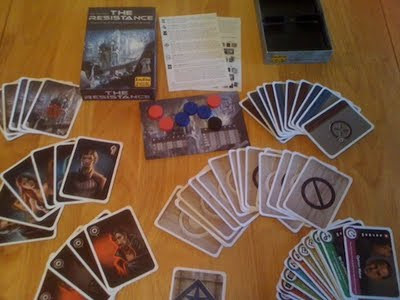 Each turn, the active player gets a question which he must read aloud and answer to all of the other players. Questions like, "How many numbers do you not see at all?" This information will then help other players determine what their tiles are. Whenever a player thinks that they know what their numbers are, they are able to guess - but if they are wrong, then they lose their tiles and get new ones. This helps their opponents and forces them to start over. Play continues like this until one player guesses their numbers correctly. The next major pro to this game is that it is incredibly fun. As an honesty check, I really only played this game to see what it was like since I had a copy available to me, and after playing it, I was intending to pass it along to someone else (that can also be read "it sure didn't look fun"). However, after the first play, I got hooked! This game is one of the most fun games that I have played in quite some time. It is incredibly difficult to objectively describe this, and I have no idea what even causes this game to be fun (by all typical gauges, I'm convinced that it should be boring), but everyone that I have played it with has had a blast! The third pro that I will mention is that I really liked the balance of the "number pyramid." Each number has one more tile available than the previous number (there is one "1", two "2"s, etc). In addition, each color is used four times - there are four brown "4"s, there are three black "3"s and one black "5", etc. This careful balance in the game (and realizing that it is there) really allows the questions to be much more useful whether they are about numbers or colors. The final pro that I will mention is that I think that Code 777 is kid (that can read - so maybe more "tween" (between child and teen)) friendly. Anyone should be able to grasp the rules, and I think that kids would have fun playing the game. (Note: this is based on conjecture, I don't have kids. I have played it with kids that were around 12-15, however, and they did enjoy it.) Playing with young kids might be frustrating if they are too impatient to actually wait until they have figured out their tiles and just start guessing, but if they are willing to actually try to figure out their tiles logically, I think that Code 777 could be fun for everyone! However, though I really enjoy the game and will continue playing it, there are still some cons. For example, some of the questions seem to give away significantly more information than others. 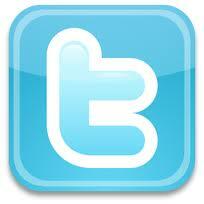 For example, several questions can immediately let you know that you have a certain number. Things like, "Do you see more pink sixes or green sixes?" Well, if you see the same number of each (excluding the active player's board), but your opponent answers that they see more of one or the other - you immediately know that you have at least one of the number they stated. A lot of other questions will help you in much more vague ways like determining that you have at least as many green tiles as red tiles. To be fair, the questions are really a lot of what I think brings fun to the game. Sure, in certain situations some questions will help a lot more than others, but if the questions never gave any useful information, then the game simply wouldn't work. Perhaps the biggest con with Code 777 is how frustrating the game can be when you guess incorrectly, and you are convinced that you are right. Now, this can happen for a couple of different reasons - first, someone actually mis-answered a question. If this were to happen, it breaks the game. I don't think that there's any way that they could have designed around that, in the same way that any game might not work if you don't follow the rules. The second way this can happen is if you eliminate something twice, when you should have only eliminated it once. This happened to me. Because of this, I can offer this helpful advice for if you ever play Code 777: mark your paper differently based on if you have logically eliminated a piece or if you have eliminated it by seeing the piece. If you mark them the same way, then you will be prone to mark something that you have logically eliminated off when you see it because of someone drawing new tiles after a missed guess. Be careful - don't do this! It is beyond frustrating! Overall, I give Code 777 a 9.0/10. This game is fun, replayable, and can be played by anyone that can read. In addition to all of that, it forces you to stretch your brain by trying to solve the puzzle of what tiles you have! 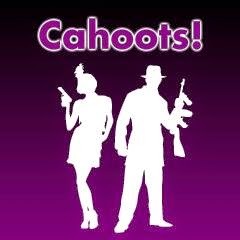 It's a blast and I'd recommend that anyone try it out. 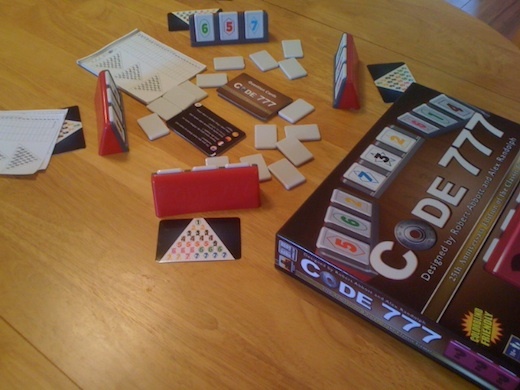 For another perspective, check out the Board Game Family's review of Code 777. And, in addition to Code 777, you might also consider checking out Mice and Mystics, Innovation, and Dixit. I would like to thank Stronghold Games for providing me with a copy of Code 777 to help rebuild my game collection after the tornado. I finally played Return of the Heroes again, so I felt it was time to review it (disclaimer: I couldn't find the English version on Amazon). In Return of the Heroes, each player takes on the role of a fledgling hero that is eager to perform tasks and slay monsters in order to gain experience and eventually defeat the ultimate evil bad-guy slobbering super villain. Each turn, the player is allowed to move a number of spaces equal to their movement value (which is different based on which hero/race you play as). Any undiscovered encounters that cross their path cause them to temporarily stop their movement and flip the tile; if it is a monster, they must fight it, but if it is an encounter or a task they have the option of performing the associated action or continuing their movement. Ultimately, the heroes are all attempting to complete their "heroic quest" which allows them to gain a "precious stone". This stone is the key that allows them to enter the lair of the ultimate evil bad-guy slobbering super villain. Once they feel their brave hero is strong enough, they can go challenge the ultimate evil (and then he destroys them... oh wait, I mean, they fight gloriously or something... but chances are he defeats them). The first pro for Return of the Heroes is the leveling system. Each character has three primary statistics: melee, ranged, and magic. They have a starting number in each statistic, which represents the number that they have to roll less than or equal to (on two dice) in order to pass a check in that stat. There are two different ways that a hero can improve one of their stats; either they can increase the number on their stat (by using a trainer) - thus increasing the odds of the die rolls being successful, or they can increase the number of dice they can use (and pick the best two results) by gaining experience - thus allowing for more chances of getting the lower numbers. It is really a neat system, and is the biggest draw that I have to this game. I wish that more games implemented stat checks and experience like this; it seems to dampen the annoying aspects of everything being completely based on how well you can make a single roll. The next positive aspect of the game is that the task system actually works. I have played other games in which players are supposed to perform tasks, but they are incredibly long and arduous, and each player can only have a single task at a time, and so it feels like a monotonous grind to complete them. In Return of the Heroes, each hero can have up to four open tasks at a time (and also their heroic quest), and the tasks are normally pretty simple and gain the player experience. 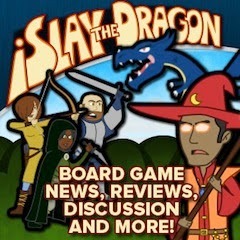 It is a nice system that is a change of pace from many other role playing games. The final pro of the game is that Return of the Heroes feels like a more quick-paced role playing game (seems like an hour time frame). However, with that said, I mentioned that the ultimate evil monster at the end of the game destroys you. It seemed quick until we realized exactly how difficult that challenge was. Which leads me to my first con. I thought that the final monsters did not scale well with the rest of the game, and I felt like the game would be a monotonous grind in order to actually get your heroes strong enough to defeat him. Perhaps this was just the monster that we were playing against (he healed every time he wounded you), but the difficulty from defeating the "Nameless One's Guard" (the second most challenging enemy in the game) to defeating the "Nameless One" was astronomical. We each breezed through all of the monsters until we got to the final enemy - and we were all killed. (The official rules state that if you are killed, you get to keep an artifact and lose all experience and other items. We just said you were killed and moved on.) I really think for the game to not get boring at the end, you may need to play with house rules to make the final enemy challenging but not quite as hard as the game has them. One reason that the game would get so boring at the end is that the players would have plenty of extra dice; the experience that they would need would be increasing the number on their statistic (the number that has to be rolled less than or equal to). To do this, you must hire a trainer, and to do that, you must have money. At the end of the game, there is really only about one way to get money - kill the thief. So everyone would have to chase the thief, kill him, and then go hire the trainers and hope that the thief comes back out near them. The next problem with the game is that the rules were horrible. 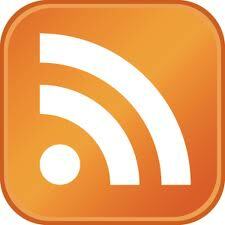 First, they are written as if the heroes are explaining them to you, so it is all written in dialog. This makes them unnecessarily lengthy and also makes it more difficult to find anything. After reading through the rules, we were often unsure of how certain things worked, and spent quite a bit of time blindly wading through rules with no success. Part of our lack of success was because many things (I think) were simply not covered by the rules. A good example of this is that, even though there is a "quick start" setup guide, it doesn't actually tell you where everything goes to start the game. We just assumed that everything went how the picture depicted them and hoped that they were showing the "official" setup and not and example setup. The final problem that I had with the game is that it needed more diversity of monsters. There were a handful of monsters that started the game as random encounters, and there were the Nameless One's minions (that came out when his chit was pulled from the bag). However, the Nameless One's minions are removed from the game after they are defeated and are all essentially the same monster, anyway. I thought that there should be more diversity in starting monsters - especially since they go back into the bag to get redrawn. Essentially, there are about 5 monsters that you will see repeatedly throughout the game. Overall, I give Return of the Heroes a 6.0/10. This was one of the most difficult games I have ever assigned a number to. I pondered whether the difficulty of the end boss made the game "broken" and should get a sub-5 rating. I also love the leveling system, so I was tempted to give it around a 7.5. However, I wound up splitting the difference. As opposed to most games with scores this low, however, Return of the Heroes will stay in my collection for the time being. As awesome as the leveling system is, I'd have to recommend that you try either Runebound or Talisman instead. An unimposing little game from Gamewright that I initially overlooked is City Square Off . 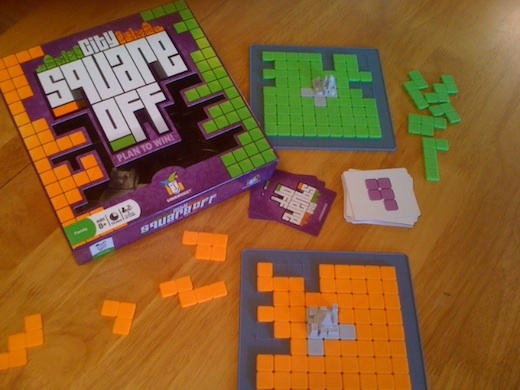 City Square Off is a spatial reasoning game in which each player is "planning a city" (placing Tetris-style pieces - oh and get used to Tetris comparisons) on a grid board. 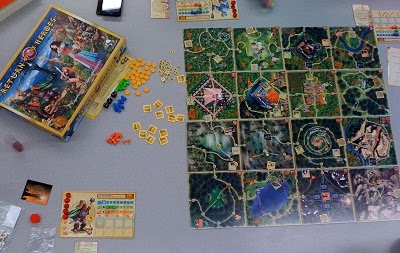 Both players start with a "city" in the middle of the board (each of a different shape). Once this incredibly simple setup is complete, each turn a player will flip the topmost card from the deck (representing a tile piece), and both players will have to place that tile on their board. Play continues like this until at least one player cannot place the appropriate tile, at which point the player that can place the tile is declared the winner. If neither player can place the tile, then the player with the largest number of uncovered contiguous spaces is declared the winner. The first thing that I like about City Square Off is a combination of the city and tile pieces. Initially, I just assumed that this game was going to be a board game Tetris, but these pieces are what proved me wrong. Since the city pieces are each different, this forces both of the players to be playing differently - you cannot cheat and see what your opponent is doing, because that may not even be a valid play on your board. And with the tiles, there are no repeated shapes - once that tile has been placed, it will never be played again. In addition, I like that the tiles vary in number of blocks - they range from consisting of one block all the way up to five (this really helps set it apart from Tetris where they are all four blocks). Since the number of blocks in each piece are inconsistent, it really forces you to actually think instead of going into auto-Tetris-pilot. The next thing that I really like about City Square Off is the high quality of the components. Normally, I don't really care about component quality - rather, I like high quality components, but I don't bother telling you about whether a game has them or not. However, with City Square Off, I believe that the game would be incredibly frustrating if they hadn't made the components so well. Since your goal is to set these pieces up, and it is crucial that they stay in place, if each player was given a flat board the pieces would slide and you would immediately get annoyed by the game. Fortunately, Gamewright took this into consideration and made sure that there were small "nubs" (for lack of a better word) on each grid point - and the tiles have small holes in them that allow them to lock into place with these nubs. Thus, no sliding of components, and the game is playable! A very brief third pro that I have for City Square Off is that not all of the pieces fit on the board. Therefore, you can't play the "perfect" game in which you successfully go all the way through the deck and place all of your tiles. You will run into a time where you can't place things - it's simply a matter of "when" instead of "if". I like this. Finally, as with all Gamewright games, the final pro is that it is incredibly kid friendly. Anyone can play this game, as it is very simple to understand the rules. Yet, if you play this with kids, I think that it will help challenge their spatial reasoning skills and force them to plan ahead. If they don't pay attention to the fact that certain pieces are already used, then they will lose - until they learn that they need to watch for that. Games that children can play, and yet are forced to expand their thinking are really good in my opinion. The only real con that I see in City Square Off is that, though it did distinguish itself from Tetris to an extent, it does not force me to think in new ways as most spatial reasoning games do. The thing that I love so much about games like Abalone, Dvonn, and Yinsh is that they are so unlike anything that I have ever played or seen - and so they force me to think in entirely new ways. City Square Off challenges me more than Tetris, but feels comfortable enough that I don't feel my brain being stretched. With this, I must acknowledge that Gamewright's games are aimed primarily to be able to be played with children, and I believe that children will not experience this same con - they didn't all grow up playing the same games that I played. Overall, I give City Square Off an 8.5/10. I debated this back and forth, planning on giving it only an 8 for a long time, but that was primarily because I prefer Dvonn and Abalone, each of which also received 8.5's. (I'm not convinced that I'm very consistent with my scores; but at least I never claimed to be.) Judging it based on it's own merits, City Square Off is a very solid game with the added advantage of being inexpensive and very kid friendly - so 8.5 it is. If you're looking for games that you can play with kids, then you might try Monopoly Deal, Sorry! Sliders, and possibly Heroscape. I would like to thank Gamewright for providing me with a review copy of City Square Off. 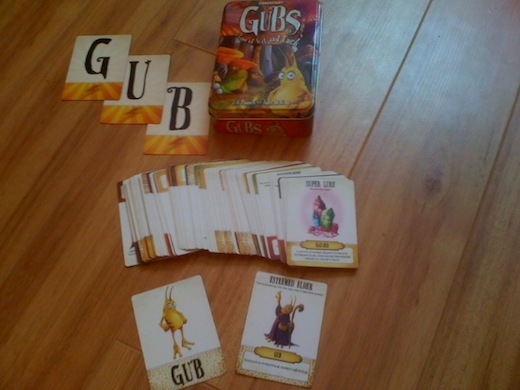 A cute little game by Gamewright that captured my attention is Gubs . In Gubs, each of the players are attempting to play and protect (or steal and protect) the most Gubs (weird snail-type creatures, but without the shell). To do this, each turn the active player has the option of drawing a card (this is not required, but you cannot skip the draw step two turns in a row). Next, he may play any number of cards from his hand - allowing him to protect Gubs, steal Gubs, trap Gubs, etc. Finally, he must discard down to eight cards and then play passes to the left. Whenever an Event card is drawn, however, it immediately resolves (most of these are nasty and greatly affect the game). Included in the Event cards are the letters "G", "U", and "B". Once all three letters have been drawn, the game is immediately over, and whoever has the most free or protected Gubs is the winner. The first thing that I like about Gubs is the fact that it is kid friendly. Specifically, it must be played with someone that can read, so it is more "tween" friendly. I believe that Gubs can easily be compared to games like Old Maid, Uno, War, Phase 10, and others of that complexity. Of these, I would much rather play Gubs because, even with it's flaws, it is a much more entertaining game than any of the ones I just mentioned. 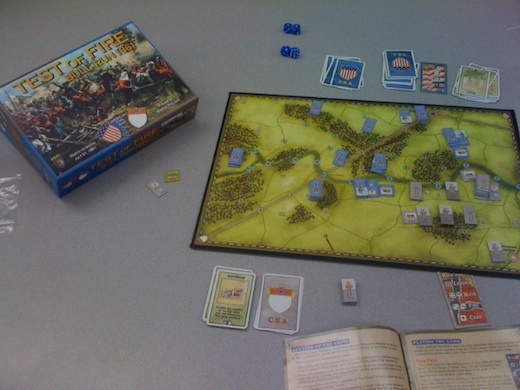 Plus, there is at least some strategy involved in winning Gubs as opposed to a game like War. Because of the amount of luck in Gubs, it led to my second con - I became disinterested in the game. Since I felt like my actions did not matter (with the exception of keeping back a few defensive cards to counter a couple of the particularly nasty events and traps), my enjoyment and participation in the game quickly waned. Overall, I give Gubs a 7.0/10. If I were to play this strictly with my typical group of gaming friends, this score would be even lower. However, factoring in the fact that Gubs can be engaging to a much younger audience (and, in fact, this is what all Gamewright games I have played strive for), I decided that 7.0 was appropriate. If you have children that can read (and would rather pull your hair out than play another game of Uno), then I would recommend checking Gubs out. If you're primarily a strategy gamer that plays games with an older audience, I would suggest that you pass. If Gubs sounds interesting, you might also check out Hey, That's My Fish!, Dixit, and Rory's Story Cubes. 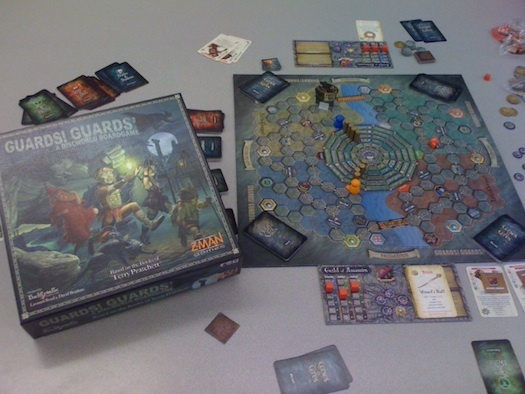 I would like to thank Gamewright for providing me with a review copy of Gubs. A new game that North Star Games has come out with (that they are marketing as something to bring to a party instead of a bottle of wine or case of soda) is Crappy Birthday . If you've played Apples to Apples , then basically you already know how the game is played. Each player has five cards in his hand representing "really awful" birthday gifts (awfulness like beauty is apparently in the eye of the beholder). Players take turns being the person receiving a birthday present. Your job, as someone who apparently hates your friends, is to give them the worst gift imaginable. Do you happen to know that your friend hates heights? Then you should of course give him Skydiving sessions. Does he hate board games? (Then why is he playing?) Then you should of course give him (my personal favorite card) a Crappy Birthday Party (this card is awesome, because it is actually a picture of the people from North Star Games playing Crappy Birthday)! The person who is receiving the gifts then takes all of the cards, shuffles them up, and reveals them to all the players for everyone's amusement. Next, he picks which one is truly his most hated gift and whoever played that card receives a point. The first person to get three points is the winner (and you might be leery when receiving a present from them in the future)! The first pro for Crappy Birthday is that it is designed to be amusing. Whereas with Apples to Apples (you're going to get a lot of comparisons to this game since they use the same mechanics) you are trying to get the best match, and thus you are supposed to play "seriously" (I always play the funniest one either way; and I rarely win), in Crappy Birthday you are actually playing what you think is the most atrocious - and these are much funnier. So, though Apples to Apples is marketed as a fun game with a lot of laughs, the rules to Crappy Birthday actually encourage this amusement and, in my opinion (which is the one that gets published since I'm the author of the blog) this makes the game much funnier. The next thing that I liked about Crappy Birthday are the pictures on each card. This is probably the biggest difference to that other game that is named after Apples. In Crappy Birthday, each card has a picture of what this awful gift would look like. After all, what if you weren't really that imaginative and couldn't think up what a Hairless Cat would look like. They provide the picture to help you realize just how horrible of a gift that would be. I must say that some of my favorite pictures (aside from the Crappy Birthday Party mentioned earlier) are the "Decorative Urinal", the "Taxidermy Your Pet", and "A Llama Named Lloyd." Unfortunately, there are also some cons to Crappy Birthday. Most notably (and ironically, since North Star Games is actually the company that fixed this con in Say Anything ) is that if your cards aren't being picked, then you can quickly feel a bit left out of the game. This is a glaring problem to me in both this game and the Fruit game - after a few rounds of playing the card that you think is "perfect" and still not getting picked, it is pretty easy to start eagerly waiting for the game to be over. Say Anything fixed this by allowing you to bet on what answers you think would be picked so that you were always engaged, but I guess that North Star was trying for a simpler game that could more easily be brought and played as a party favor. I'm sad that they re-introduced this con by doing so, however. The next con that I have for the game is that there are a lot of "horrible presents" that all of my friends would love. 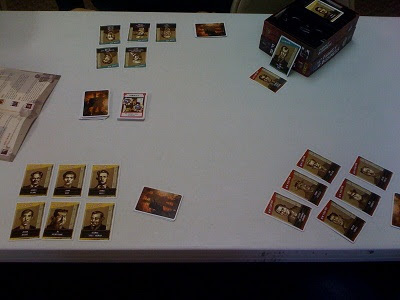 For example, I got this game at GenCon, and I played it with my friends who were with me at the convention. (If you read this and don't know what GenCon is, GenCon is a gigantic gaming convention currently held in Indianapolis. Also, since you apparently enjoy games but aren't insanely obsessed with them like me, please share my site with your friends - I like helping people find games that they will like. I think that there's a game out there for just about everyone. Anyway…) Cards like "Star Wars Collection," "Weeklong Renaissance Fair," and "Suit of Armor" aren't ever helpful to play. Everyone that I was playing with would have been very excited to receive any of those things. And so if you are unfortunate enough to draw too many of these wonderful "crappy" birthday presents, then you won't have a chance at winning. (I think the point of the game is to "have fun," but I am very competitive. It's ok, I'm nice to the people I play with while secretly hoping I crush them.) And, yes, I know that my friends are weird. I did start this paragraph by telling you that we were playing it at GenCon, though, so you should've expected that. Overall, I give Crappy Birthday an 8.0/10. I debated a bit on this game and what I thought the score should be, especially because it's not especially innovative. However, I think the game is solid and, more specifically, I think that North Star really succeeded on their goal for the game - to make a game that you could inexpensively buy and bring to a party and know that you will have fun playing it with a group of friends. I don't think that they were worried with if you would be able to play it dozens of times - I think they were more concerned on whether you could get $15 of enjoyment out of it, and I think you can. 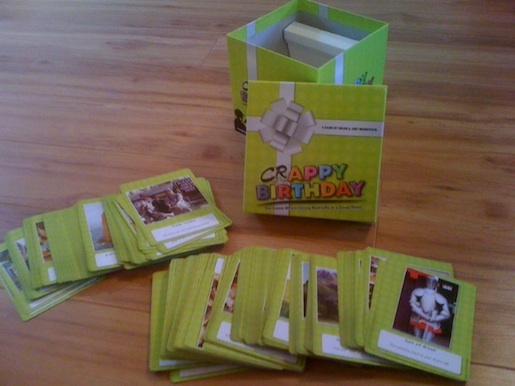 I would like to thank North Star Games for providing me with a review copy of Crappy Birthday. In addition to being available at Amazon, Crappy Birthday will be available at Barnes & Noble starting September 2011. So, first of all, thank you to all of you for entering my giveaway! I hope that even if you don't win, you enjoy my reviews and that you are glad to have discovered my site. Now for the numbers... We had 216 Facebook entries, 58 Blogger Follower entries, and 30 Entries by adding a link - for 304 total entries! So, as promised, two winners! The first winner is: Blogger Follower "Korey". Korey, please post a comment on this blog (which will not be published, I'll be the only one to see it) with your email address so that I can verify that I'm sending it to the correct person, and so that you can tell me which game you want and where to send it to. The second winner is: Facebook Fan Bill Fogarty. Bill, please leave your email address as a comment as well (again, this will not be published), and then I will have you confirm your identity on Facebook to ensure that I am contacting the right person. You will have your choice of any of the games that Korey did not select. 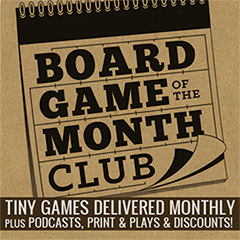 Thanks again to all who entered, and please keep reading the site for more Board Game Reviews (by Josh)!